Inexplicata-The Journal of Hispanic Ufology: Chile: Ghosts on a Bus? The driver who took the photo claims they're angels, but others have found a darker side to the photo. 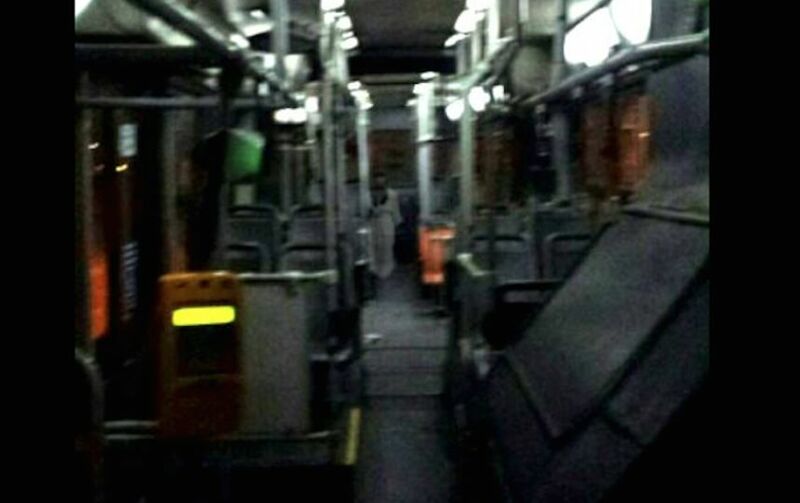 A forceful debate has taken place on social media regarding a photo on the Transatiago 210 bus, after some users reported the existence of a ghostly presence in the photo. Others say the image isn't real, while believers opine there is more than one spirit present. However, the person responsible for the photo explained that "the photo was taken by the driver, who happens to be my father. Notice that the two bodies in the back appear to be floating. My dad took the photo and left, he was sent home. For more information, it was taken at the Manuel Mujica bus garage. My father is devout, and says they're little angels," according to a report appearing in Publimetro. In spite of this, skeptics insist the photo is fake and claim that it could have been retouched with Photoshop. Other argue that [the photo] is real, given the fact that "strange things happen on the 210 route."